First on the list is our new Marketing Project Manager from Delhi. 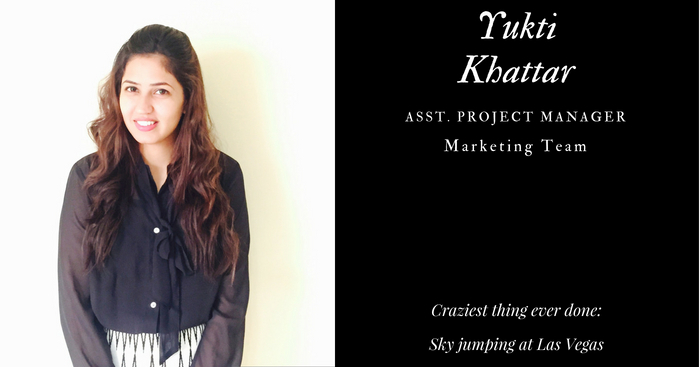 Yukti enjoys dancing, swimming, and playing other sports. She claims to have learnt a variety of dance forms. She also loves to explore new food joints & eat junk food, when she isn’t busy talking. Though there is one thing that she detests, and that is waking up early. And in case she wins Rs. 10 crore in a lottery, she would build a shelter for street dogs & cats. 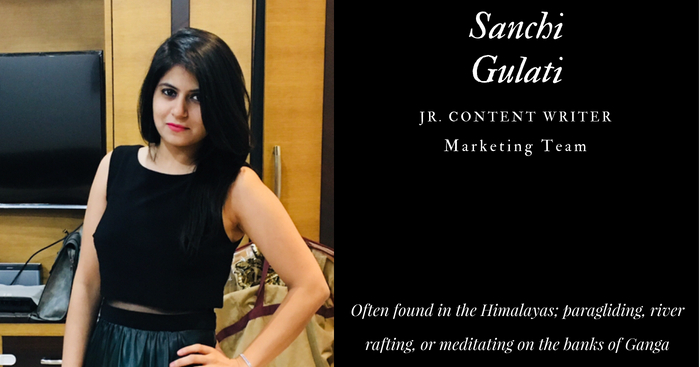 Our marketing team has been recently joined by Sanchi Gulati in the capacity of a content writer. She claims that though she may appear to be naughty & rebellious, she is actually very shy, courteous, & amp; compassionate. This Delhiite also loves to scribble, groove, and travel. And she would love to deposit some part of the lottery prize of Rs. 10 crore in a bank and use the rest to buy herself a nice house. 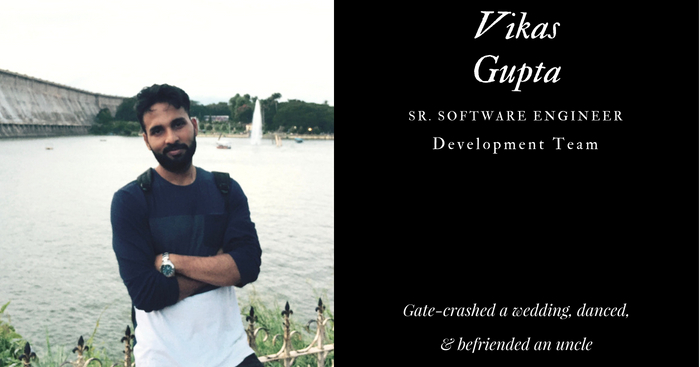 Vikas has joined the development team as a senior software engineer. He loves reading technical blogs, building new things, traveling, and training in gym. With the lottery money of Rs 10 crore, he would love to buy an IOT-enabled house, and a bike that runs on renewable energy. And we have another wedding crasher. Our new software engineer successfully gatecrashed a wedding & did not get caught. 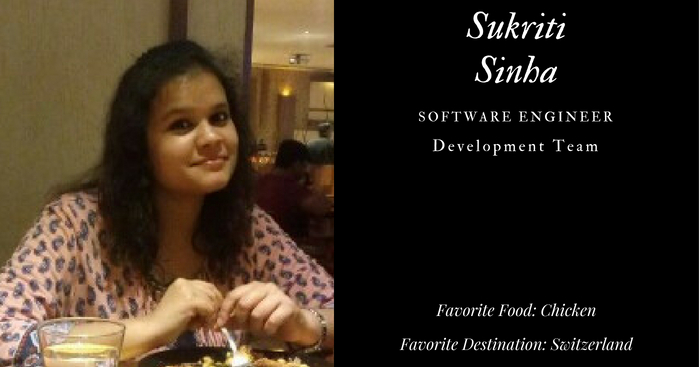 Sukriti loves listening to music, reading, and writing blogs. She also claims to be good at debating and making people laugh. Though her biggest achievement, according to her, was acing the 12th board examinations despite her bad health. 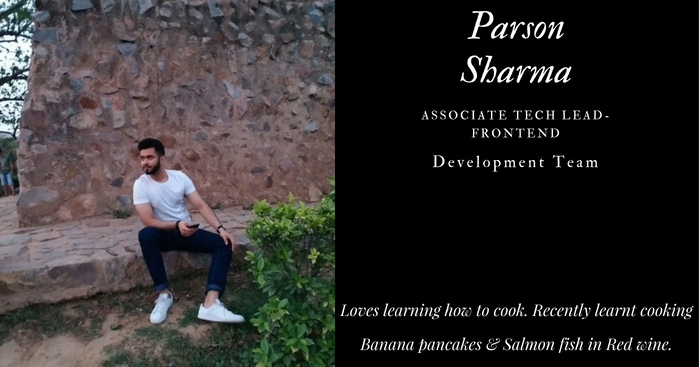 Our new Front-end Tech Lead loves to learn new things; from outdoor activities like horse riding & swimming to in-house ones like cooking. He also finds his interests in driving new vehicles and reading non-fiction books. What he doesn’t like though is sitting idle. 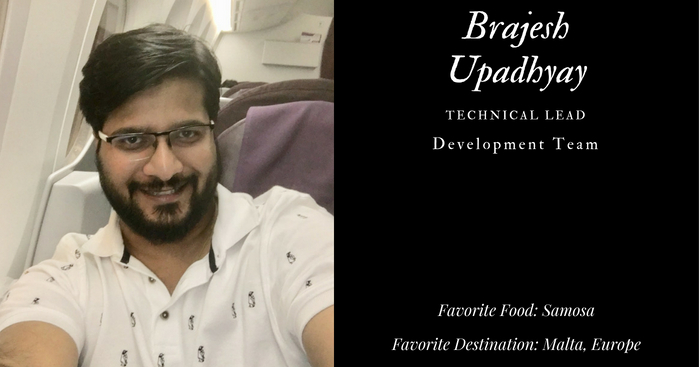 Brajesh has recently joined the development team as a Technical Lead. He firmly believes that the best investment that one will ever make is on the experiences that zi has. And true to his ideology, he loves traveling, exploring new pubs & restaurants, and gaining new experiences. Though not all experiences have been very pleasant, like the Fire Games at the Full Moon Party in Koh Phangan (Thailand) where he badly burnt his hand. Arpita has recently joined us as a Quality Analyst in Sales & Operations. This friendly girl is very mischievous and loves to annoy people intentionally. She once went overboard and entered the Gents Washroom, only to annoy the guys inside. Other than this, she also loves eating, making cookies, listening to music, and drinking tea. And she intends to use her lottery winnings of Rs 10 crore for buying a nice home with a huge garden, getting all breeds of dogs, starting her own venture, and traveling. 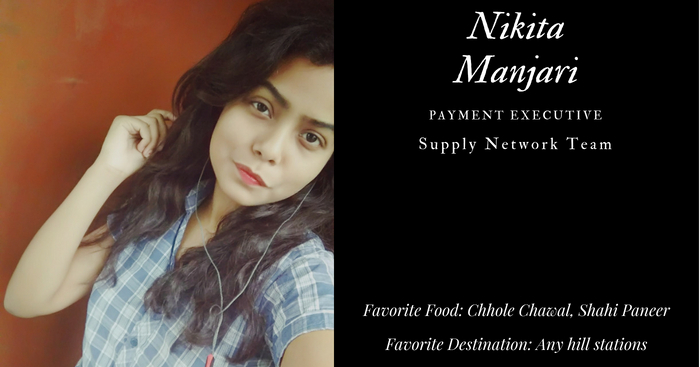 New to our supply network team, Nikita is proud of the good experiences that she has gained in the past. She loves playing chess, writing, reading, and watching movies. She also claims herself to be a keep observer & excellent in creating lip-sync videos. 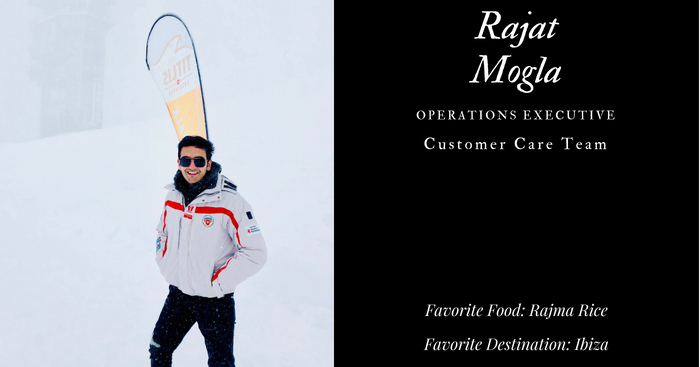 Rajat, our new Customer Care Executive, claims himself to be an excellent learner and extremely adaptive to new things. He loves playing tennis, partying, traveling, exploring new cities, and indulging in adventurous activities. And he doesn’t always settle for short trips. His trips have been as long as 43 days! Now, that’s interesting. 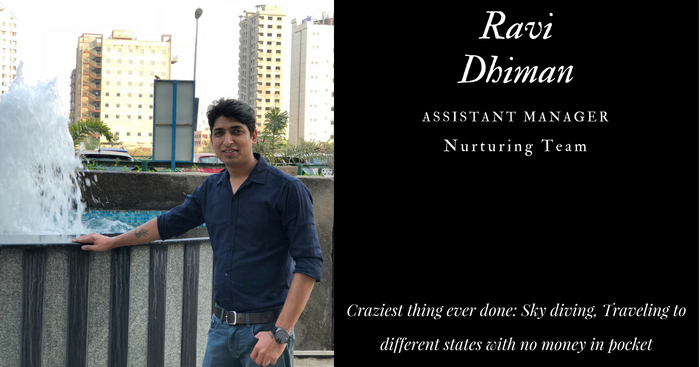 Ravi Dhiman, the new Assistant Manager of the nurturing team, loves shopping, partying until late at night, going on long drives with friends, and traveling alone. Unlike many, he hates the monsoons and avoids traveling in his own vehicle. If he were the winner of the lottery worth Rs 10 crore, he would buy a few apartments, go shopping, travel to an international destination, and invest the rest in his own business. 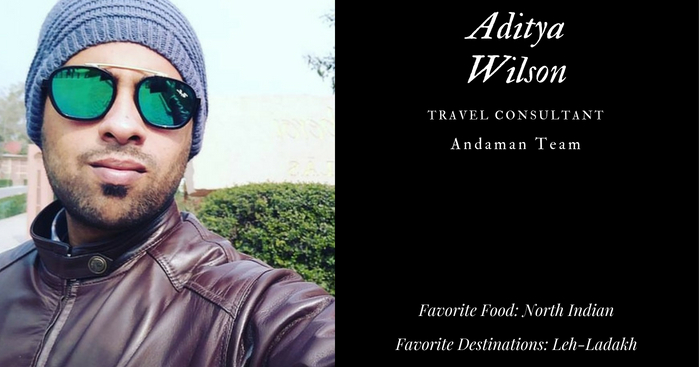 Aditya Wilson, one of the newest travel consultants at TravelTriangle, believes that traveling leaves one speechless, before eventually turning zir into a storyteller. And his love for traveling & meeting new people makes him go on long bike rides; including the latest one to Ladakh. Aditya is also fond of games & sports; both indoors and outdoors. Other than this, he spends his time watching travel vlogs and tech vlogs. 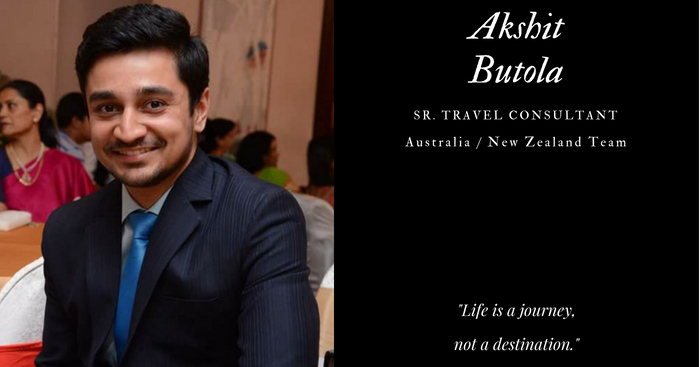 The recent joinee in our Australia/New Zealand team is Akshit Singh Butola. This guy from Dehradun abhors dancing, but adores partying. Other things that he likes include traveling, playing & watching sports, and eating food. Should he win the lottery of Rs 10 crore, he would love to travel around the globe. 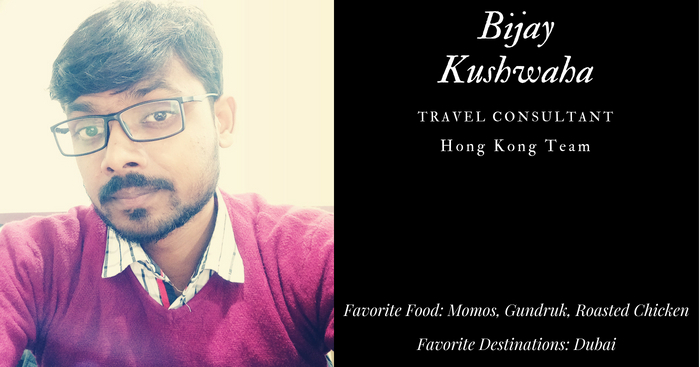 The Hong Kong team has recently been joined by Bijay. This travel consultant, who hails from the Birgunj city of Nepal, claims himself to be excellent in guiding and problem solving. He loves traveling and dreams of enjoying a dinner in Burj Khalifa and driving a Ferrari in Dubai. 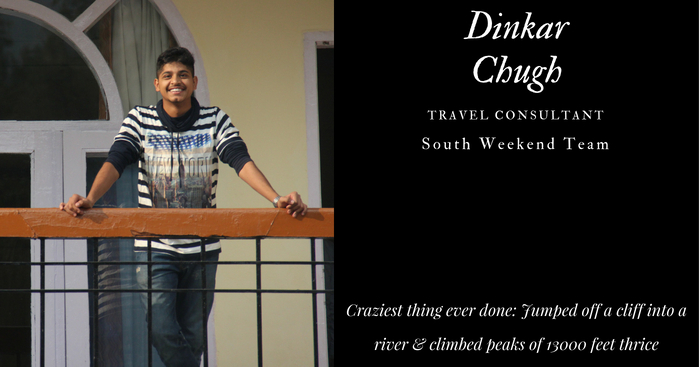 Dinkar, the newest member of the South Weekend team, has been on a quest to try & predict the unpredictable and find a fellow traveler for his adventures. Other than traveling, he is fond of sports; namely cricket, football, and badminton. Dinkar also loves reading, writing, listening to songs, and watching movies. And, with the lottery winnings, he would love to travel around the Earth and the moon. 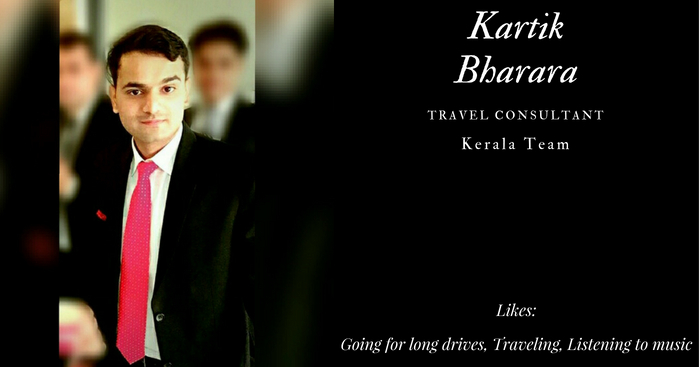 The Kerala team has recently been joined by Kartik Bharara. This guy from Meerut loves cars and going for long drives in his car. Another thing that he loves is listening to music. He also mentioned during his induction that he & his friends have often burnt crackers outside other houses of the neighborhood during Diwali time but have never been caught. Lucky guy! 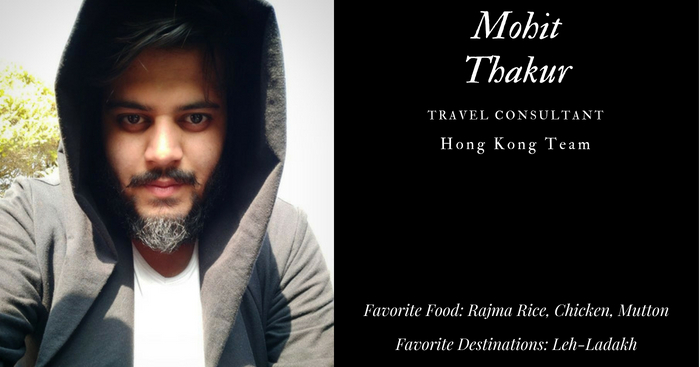 Mohit Thakur, who hails from the Kangra district of Himachal Pradesh, has recently joined our family as a Travel Consultant. He is passionate about traveling, cooking, and playing guitar. And his love for music was channelised well when he got his first gig last year. That’s something very cool indeed! 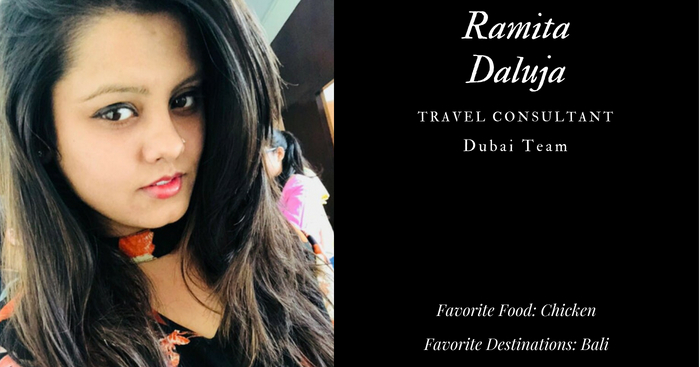 Next on our list is Ramita, who has joined as a Travel Consultant in the Dubai team. She enjoys partying, eating, and meeting new people in new places. Other than this, she also loves reading books. Ramita claims herself to be very cheerful & fun-loving. And in order to have some fun, she once successfully set up a blind date for a friend’s parents. 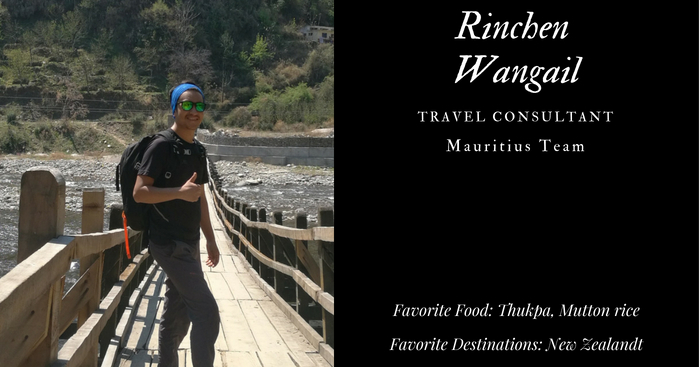 Rinchen, who has joined the Mauritius team as a Travel Consultant, is fond of hiking, traveling, and photography. And it was his passion for hiking that motivated him to scale Stok Kangri, the highest peak in Ladakh. In the fortunate event of winning the Rs 10 crore lottery, Rinchen would would a public school in Ladakh, buy a house for himself, and take a trip to the hills. 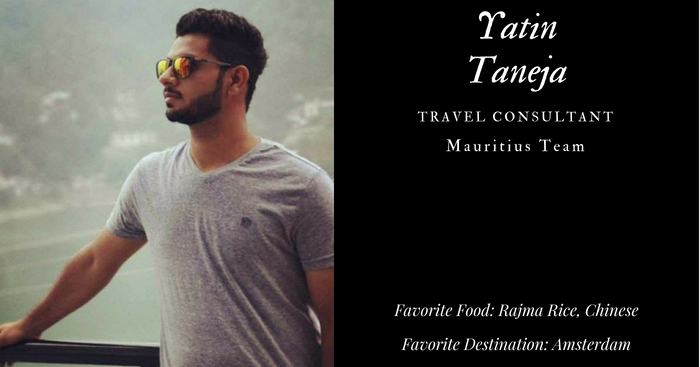 The Mauritius team has also been joined by Yatin, who hails from Faridabad. This hard-core sports enthusiast is also a state-level medalist in athletics, and loves to play outdoor games. In case he wins a lottery of Rs 10 crore, he would love to buy his father a car, go for a nice vacation, and build a house for himself. 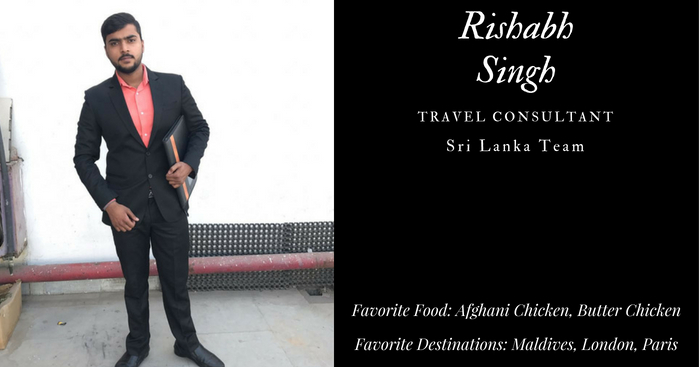 Another guy who has joined the TravelTriangle family as a Travel Consultant is Rishabh Singh. He has a keen interest in sports and loves playing cricket, badminton, & chess. Other than sports, Rishabh loves driving cars and working out in the gym. And in case he wins the lottery, he would deposit a major chunk of his winnings in a bank, and use the remaining to buy himself a nice motorcycle, dine in fancy restaurants, & stay in luxurious hotels. 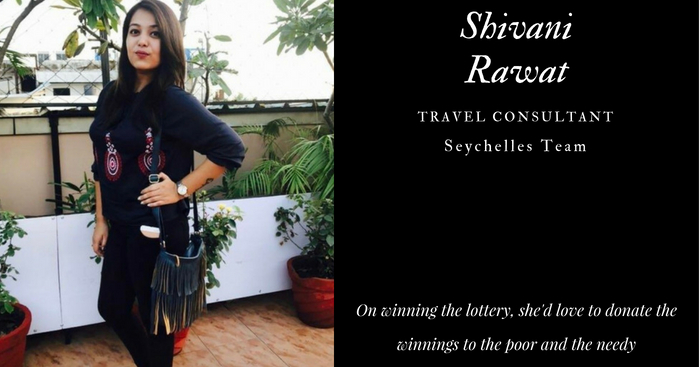 Shivani Rawat, the newest addition to our Seychelles team, is a travel enthusiast who loves exploring new places & meeting new people. Her other interests include shopping and cooking. However, there are things that she lists as big turn offs. These include waking up early in the morning, lying, and faking. This friendly girl claims that she is ever-ready to help others. And in case she wins the lottery of Rs 10 crore, she would happily donate the winnings to the poor and the needy. 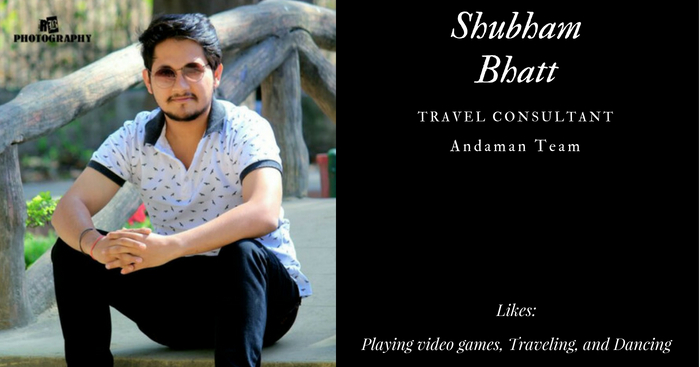 The Andaman team has recently been joined by Shubham Bhatt, who hails from Uttarakhand. His list of hobbies include playing video games on mobile & PC and traveling. He also loves dancing, but only after drinking a few shots of whiskey or the likes. Shubham hopes to buy himself a nice car and a house with a gym & a pool, in case he wins a lottery of Rs 10 crore. 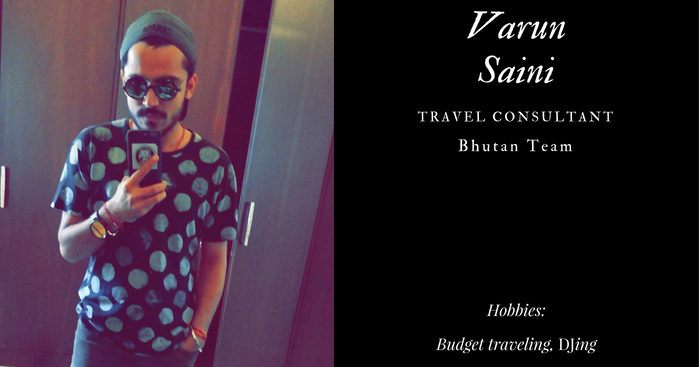 Varun, who has joined the Bhutan team as a Travel Consultant, is fond of traveling. His favorite destinations include Goa, Hungary, and Greenland (mainly for its Igloo houses). He has also had some crazy travel adventures, such as the midnight visit to the Bhangarh Fort, the long drive from Goa to Munnar when he did not even know how to drive, and the stay in own tent near Pin Parvati for 4 nights. In case he wins a lottery, he would take a world tour with his family using the winnings. 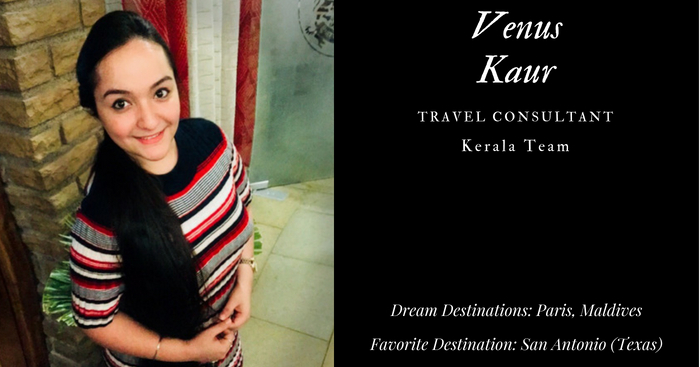 Venus, who belongs to Jhalawar (Rajasthan), has joined the Kerala team as a Travel Consultant. She loves exploring new things & places, reading, and writing shayari & poems. But it is singing that she is most interested in. With the winnings of the Rs 10 crore lottery, she would love to build her own music & singing world. And she plans to distribute all the earnings from it among the needy ones. A very noble thought indeed! 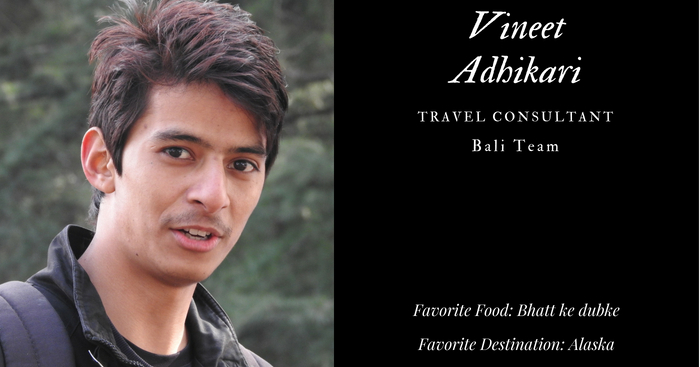 Vineet, the Travel Consultant from Almora, is fond of reading novels, playing & watching football, and traveling. And this love for travel isn’t something new. At the age of 15, Vineet 7amp; his friend had planned to run away from their families and stay away in a nice destination. Fortunately for him, this plan did not succeed. Other than traveling, he loves listening to others’ needs and providing them with valuable suggestions. 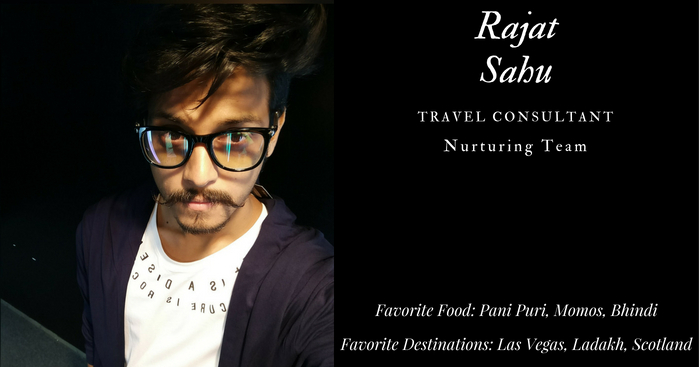 New to our nurturing team, Rajat Sahu is passionate about traveling & trekking. He has even successfully completed the internship program as a trek leader. Other than trekking, Rajat loves playing basketball, riding bikes, watching movies, and photography. Amongst the many crazy things that he has done, wedding crashing & running away from the police have been the craziest ones. 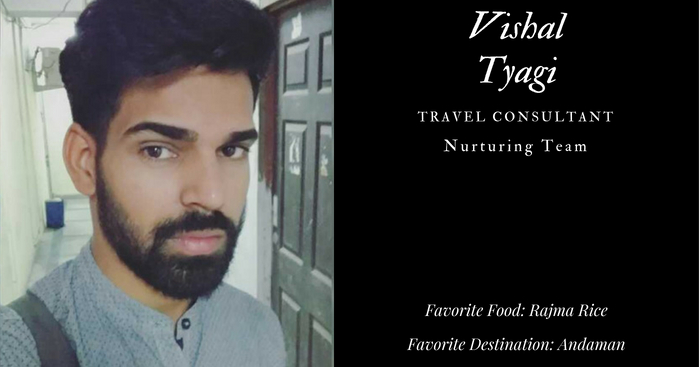 Another person who has joined the nurturing team is Vishal Singh Tyagi. 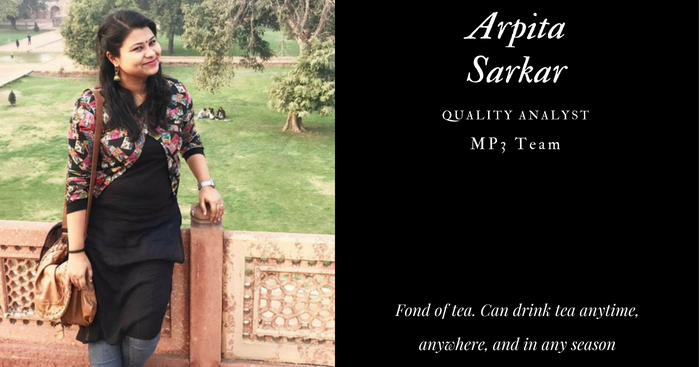 This guy from Ghaziabad enjoys traveling, playing cricket, and making others laugh. He also claims himself to be good at cooking. With the winnings of the lottery, Vishal would buy himself a nice car & a house. The remaining amount would be used to travel around the globe, try new cuisines, and capture the beauty around in his camera. 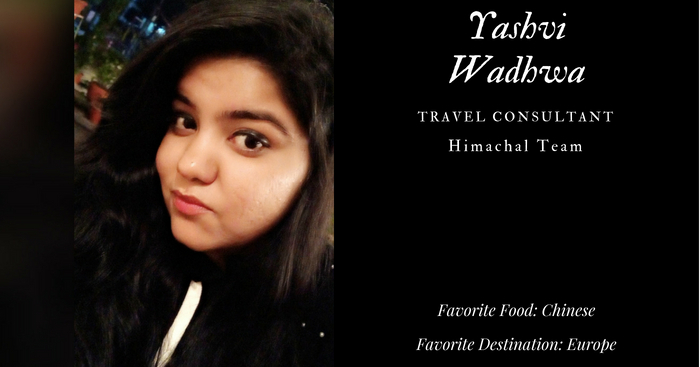 Like many of us, Yashvi – a new member of the Himachal team – loves listening to music. This Delhiite craves for Chinese delicacies. Yashvi has also had her share of misfortunes in the travel department. She once took a trip to Rishikesh with her cousins and was eager to try river rafting. Unfortunately, on the day that they were scheduled to go for river rafting, the activity was not allowed by the authorities. But she hopes to make up for this loss by taking a Eurotrip of about 30-45 days sometime in the future. 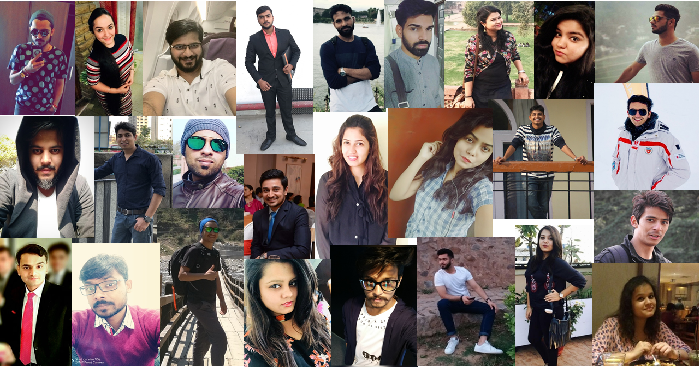 With such bright & interesting people joining our family, we do look forward to a better, brighter future for the company. Stay tuned to TravelTriangle insights as we will be back with details of more new joinees next month!